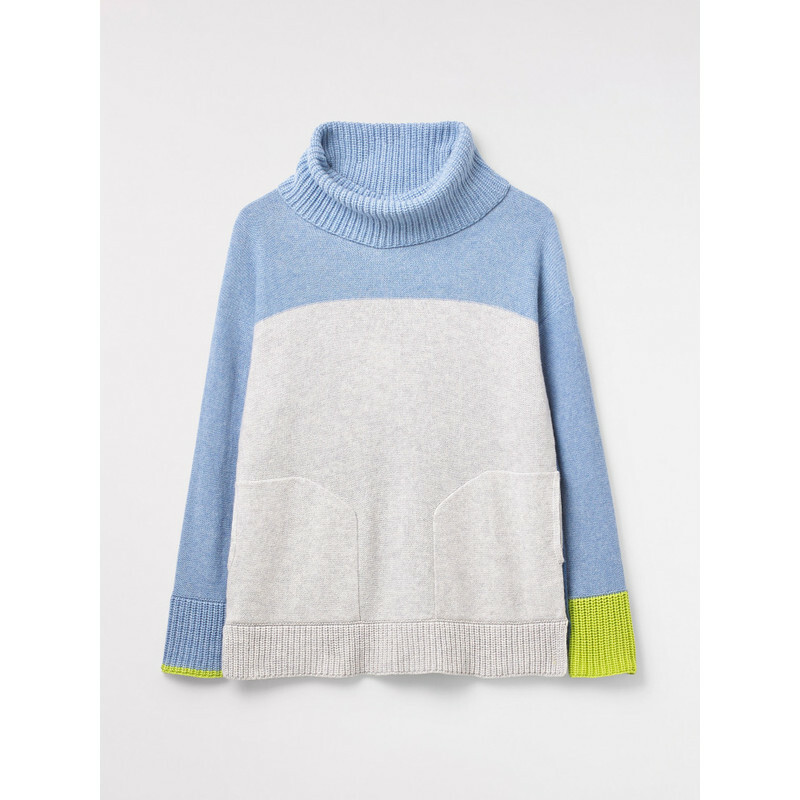 Lowland Colourblock Jumper from White stuff is a cowl neck jumper with contrasting colourblocks and two front pockets with side seam access. Great fun piece. 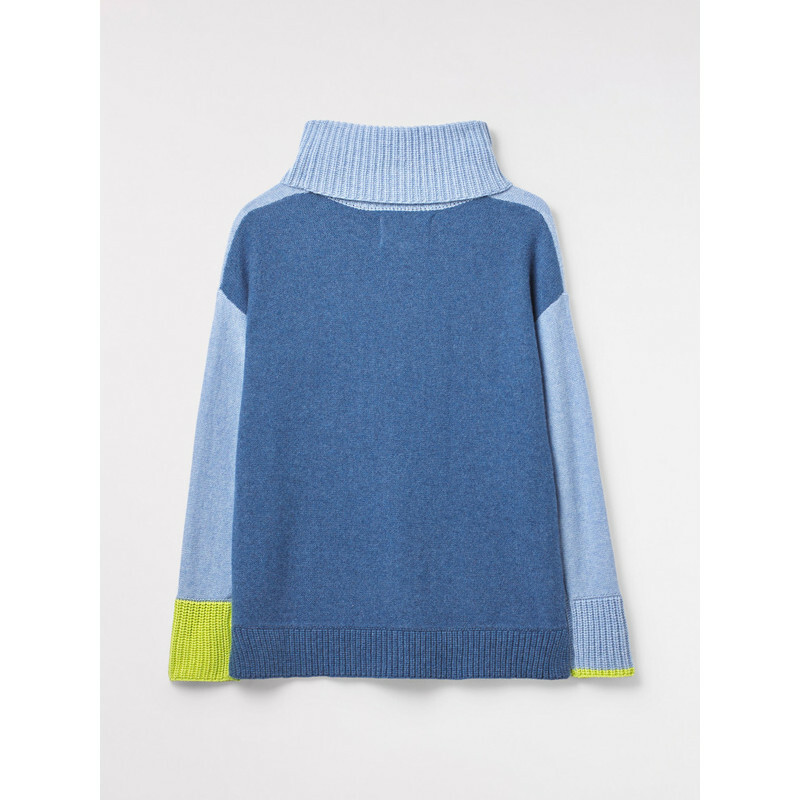 42% nylon 20% cotton 27% extrafine merino wool 1% viscose 1% alpaca.